Download "Get advice now. Are you worried about your mortgage? New edition"
1 New edition July 2009 Are you worried about your mortgage? 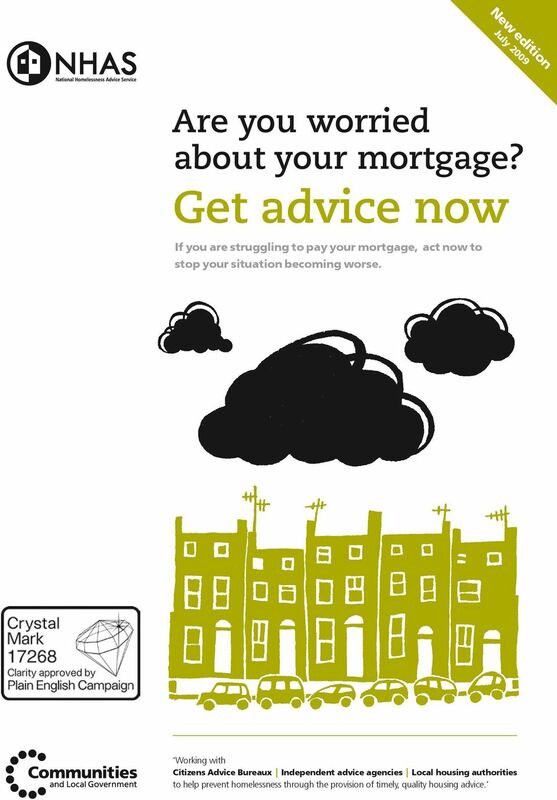 Get advice now If you are struggling to pay your mortgage, act now to stop your situation becoming worse. 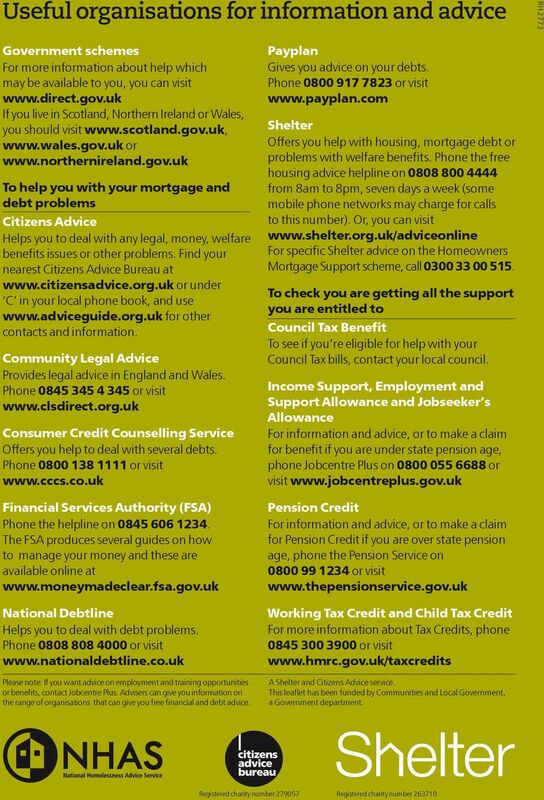 Working with Citizens Advice Bureaux Independent advice agencies Local housing authorities to help prevent homelessness through the provision of timely, quality housing advice. 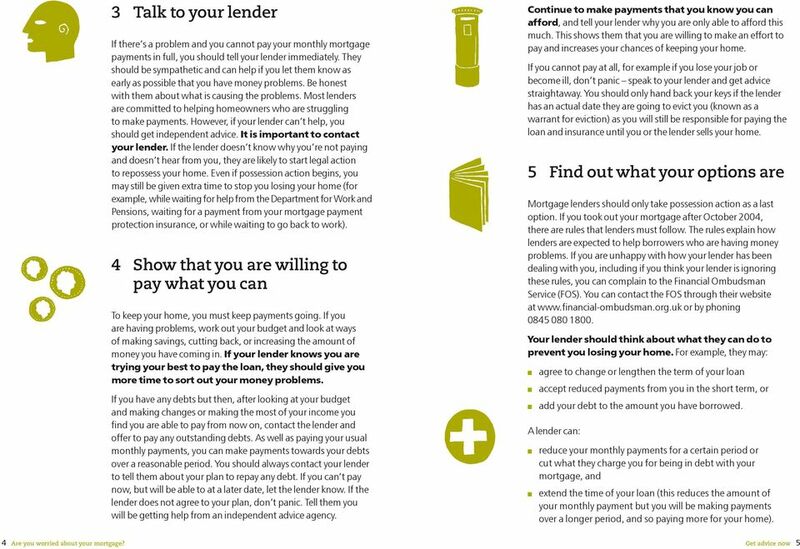 Dealing with mortgage arrears. A Guide to Safeguarding Your Home. 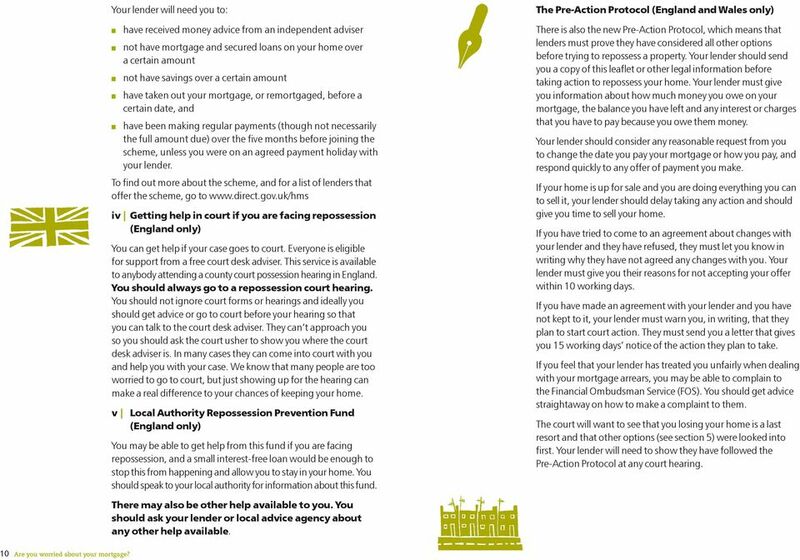 Repossession Advice Line: 0844 8842721 REPOSSESSION GUIDE. Property Solutions Tel: 0844 884 2721 Email:info@sellyourhomequickly.co. Help yourself if you re 16 or 17 If you are about to leave school, you will have to decide what to do next. 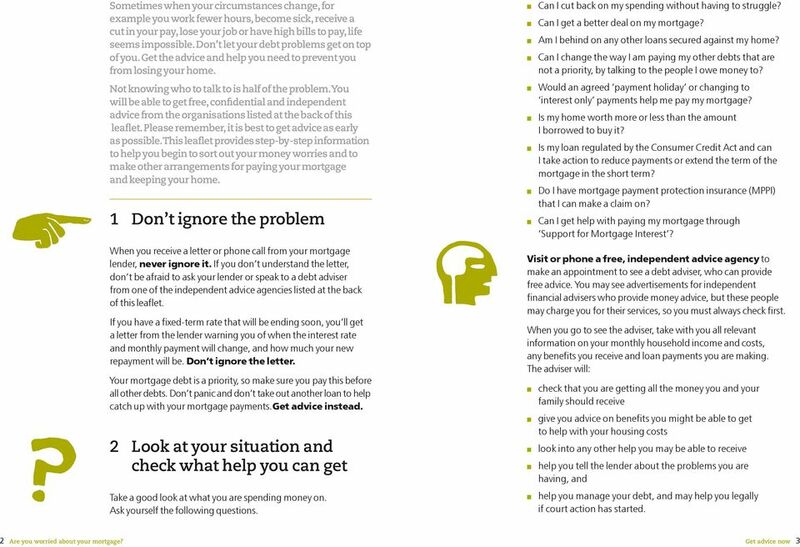 This leaflet goes through some of your options and outlines the help you may be able to get. 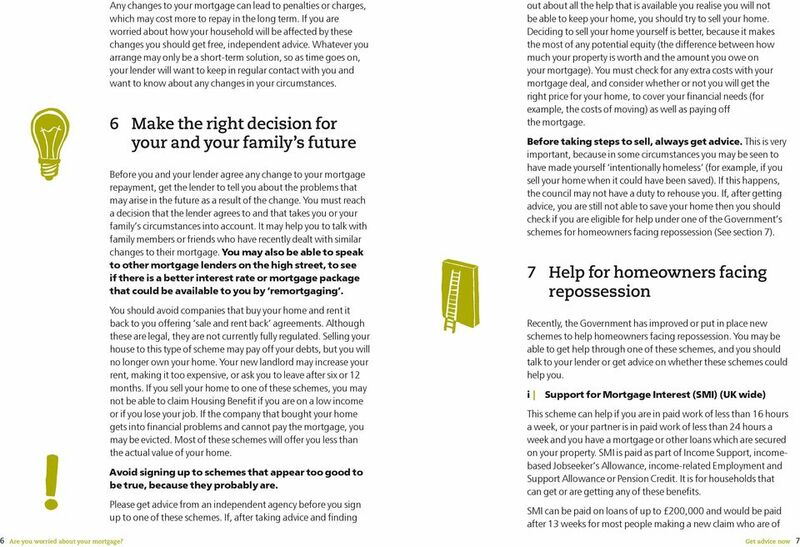 a government initiative A Guide to the Mortgage to Rent Scheme A Guide for Applicants Contents 1. What is the Mortgage to Rent Scheme? 3 2. What are the benefits of the Scheme? 3 3. Who provides the Scheme? 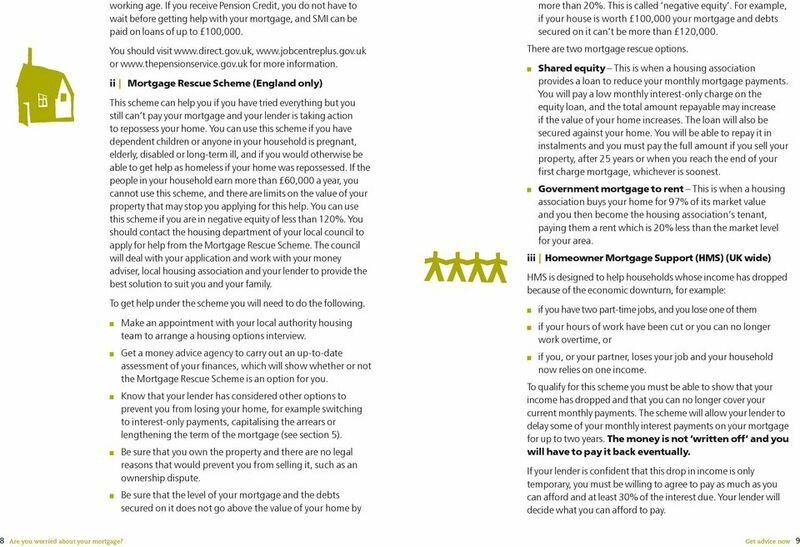 This section contains useful information for people with mortgage arrears or debts secured on their home.